Loren Gray is an internationally recognized authority in the field of hospitality marketing and has appeared as an expert yearly at numerous national industry conferences spanning the hospitality and digital marketing industries. Gray has spoken on the topic at industry events across the US, in Canada, the Caribbean, and Australia. He has contributed to publications such as the New York Times, USA Today, Financial Times and the Wall Street Journal, and has had articles published in numerous trade journals. In addition to participating and chairing on numerous industry boards and organizations, Gray is a past chair of the Digital Marketing council of the Hospitality Sales and Marketing Association International (HSMAI). HSMAI recognized Gray as one of The ‘Top 25 Extraordinary Minds in Sales and Marketing’, and he currently serves on the Board of America’s for HSMAI’s International Organization. 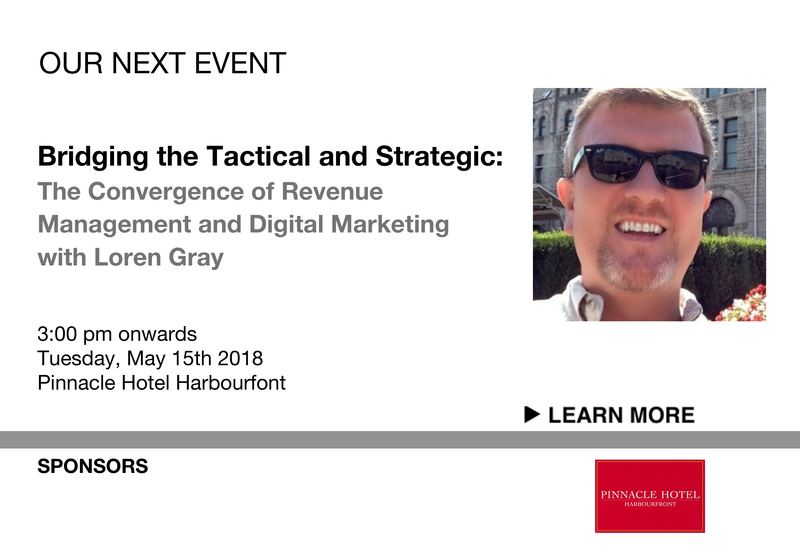 In most organizations, revenue management and marketing are two separate departments with separate reporting structures, technology systems, data sources, goals and incentives. In this session, we take an “outside in” and “inside out” look at the how the different analytics used by marketing and revenue management departments impact the guest’s journey, and identify opportunities to integrate revenue management and marketing decisions to optimize returns. While hotel revenue management has been delivering “the right product at the right price” for decades, it is ultimately the job of predictive marketing to ensure that the goods are offered at “the right time” to the “the right customer.” Now, more than ever, technology is able to reveal who that customer is and when is the best time to solicit them. Today’s marketing field is a different beast that requires much more than a designer’s eye for sensible color schemes; it requires a skill set that is analytics-based and ROI-driven. Sound like anyone you know? Attendees will take away: An understanding of today’s predictive analytics and location-based marketing spectrum; knowledge of how the landscape is changing and what you need to do in order to remain up-to-date; a series of questions you can ask in order to understand what internal data is available to you and how you can go about capturing more; several practical ways to use your CRM and GA data in order to drive targeted marketing strategies; and, top tips to maximize and leverage the power of free tools such as Google Analytics.